This article is written based on the update 3.6.1 version built on 21st April, 2014. Q. I can't find the user guide of pdf-notes. A. Please use the bookshelf or document settings menu Read the user guide under Trouble Shooting & more useful information menus. Q. After the recent update, pdf-notes shows black screen for some time and returns to the home. A. Some customers reported that the black screen problems were occurred if there were not enough disk space in their iPads. Please remove some unused apps or data to make more free disk space and reboot your iPad. Q. The installation stopped and didn't finish yet. A. Please check the network connection at first, and make enough disk space for the download & installation, and then reboot your iPad. Or you can download the app from iTunes and sync your iPad. Q. I have many notes in free version. What if I install new paid version? Q. I opened the annotated pdf file at Google Docs but there is no annotations. A. Google Docs does not support annotations. Please open it using Acrobat or Adobe reader. Q. I opened the annotated pdf file at iPhone/iPad email, safari, iBooks (or Papers app) but there is no annotations. A. iPhone/iPad email, safari, iBooks (and Papers app) do not support annotations. Please open it using other apps which support annotations or Adobe Reader. Q. Is there any limitation of pdf file size? A. No, we successfully tested reading 500MB 3,000 pages without any problem. As you know, after pre-open it once, we could read all thousands pages very quickly without any lags. Please confirm how it works: just write something and stop, look at the top-left corner, you may see auto-save indicator displays "saving now." Don't worry any more~ just write. Q. In a jail-broken iPad, pdf-notes is very unstable. A. Sorry, we can not help you about a jail-broken iPad. We have no idea about it. A. App developers, like us, can not access any purchase record. Only Apple can access who purchases which app so that please contact Apple for your refund. @Jørgen Aqe, we removed that feature because the number of pdf files that have correct title/author is a lot smaller than the number of pdf files that have meaningless title/author in the world. Now, we need to think how customers can use the title/author info selectively... Thank you for your comment that we can re-think about it. Is there a way to combine PDF files within pdf-notes into a playlist, of sorts? I want to scan sheet music into the app and be able to combine them into a setlist. I accidentally deleted a file. Is there any way to recover it? @Dorothy, sorry but no. 2.0.0 version does not have a trashcan. I really like your app. In adobe acrobat I use bookmarks all the time. I wish the new bookmarks I add in your application would be visible when I export the file to my compute in itunes. Even better would be if the modified files were automatically synced back to my computer instead of requiring exporting. Also, can you please make the "add to" button in iTunes allow selection of an entire folder and not just individual files? I'd like to know if the ability to transfer the bookmarks to others readers is already made. I am sorry but the current version does not support the bookmark export to the flattened/annotated PDF files. Could you please wait until it is available? Is there a way to delete a single page from a PDF file because when I saved the PDF file it contained blank pages which is really irritating? I am sorry but it can't. The current version of pdf-notes is a pdf reader/annotator not a writer. Hi I created a Porfolio PDF File, this is a file where I cosolidate several pdfs documents to make them look like a whole. The Pdf-notes won't work over my pdf-porfolio file, is there something I can do? Thanks. I am sorry but the current version does not support it. I'm trying to figure out how to edit the metadata of the pdf files. I've tried with a metadata editor, on my mac, which will change the file data, but importing to pdf-notes, it will either lose or ignore the information, specifically the author tag, which will appear empty. Any clue on how to solve this, please? I am sorry but the current version does not support the meta data. Few users utilize those meta data so that please wait until we implement it when we are ready. Please, how can I synchronize my read PDFs, in the PDF-notes Free, from iPad-1 to my New iPad, without losing my notes in the texts? 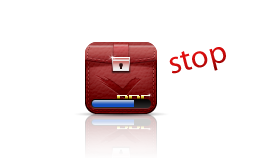 Simply please backup your iPad 1 to iTunes and restore the backup data to your new iPad. Does The app support electronic page turner? YES! This PDF annotator was AMAZING on my iPad! I would love to have this on my Google Nexus 10! Is there any chance you guys are/could make an android compatible version? This may be a stupid question, but how do you delete files from the Export folder once you've copied them to other folders on a Mac? how can I convert .pdfnotes files I have backed up to .pdf in my computer? When I enter text, there is a black box around it. Can I remove the box? I'd like to use the app to fill out a form. Please check the 18 page of the user guide 3.1.0 version at first. After upgrading from free to the paid version my PDF notes free does not show up as one of the options when I want to save a PDF document from the Internet on my iPad. And don't have a whole lot of other apps , wondering if it is because of the in app purchase. Any trouble shooting suggestions please? Is it possible to change the file name when you export a file to your Google Drive account? I am sorry but no. Could you please use Safari to change the file name on your Google Drive storage? Please read the page 11 of the user guide 3.2.1 version. I have 300~ PDFs in my Google Drive and I want to download all of them to PDF-notes. I see that I can download selected files from the google drive but I don't see a select all function. Do I have to select 300~ files one by one? Can I download the folder? I am sorry but Google Drive does not support APIs for your requests. Hi i did the in app upgrade but i can still see the banner. Why hasn't it gone away? 1. There are two versions: the free version and the paid version. 2. Users can purchase the paid version or the in-app purchased upgrade of the free version. For more information, please read the page 3 of the user guide 3.3 version. 3. If you purchased the paid version, please backup your data from the free version and restore it into the paid version. Please read the the pages 43 ~ 47(backup & restore) of the user guide 3.3 version. 4. If you purchased the in-app purchase upgrade but it's not upgraded yet, please try to Settings - Purchases - Restore Purchase. I am a new user and cannot get rid of the banner. Do I have to wait until the app updates before this disappears as the manual says on page 3? Why don't you read the number 4 of the above answer? J Penman, app does not know about your useri. Apple always checks your Apple ID so that please ask it to Apple if it does not work. Developers do not know about customers' Apple IDs! Can I rotate viewing on PDF file? You can rotate pages using Acrobat Professional and import it into pdf-notes. Please read the backup & restore part of the user guide and backup your important data to your computer using iTunes. Great product. Is there a way to extract title and author information from the PDF metadata? Most journal papers have this information and typing it by hand would take forever. Could you please read the iPad user guide? You can delete a file by pressing the delete key at your keyboard after selecting it using your mouse on the iTunes. 1. update your version to the recent version. It says my license is free version. My Apple receipt"
Otherwise, you might get refunded before. Please check your purchase history at Apple AppStore. I am sorry but could you please read the first question-answer of this article if possible? Could you please tap the button if possible? The button will restore the guide as you want. Please read the user guide at first for your sake. Please refer to the page 29~30, Exporting types & PDF compatibility. pdf-notes supports the standard PDF specification so that there should be no problem at all in your case if there was no mistake. Flipping pages by tapping. on the left or right 10% on the screen often only works a few times. When I then do some marking or annotation, when tapping in the side 10%, I also get a mark there insted of a page flip. How can this be avoided? My iPad crashed but when I reinstalled the PDF app in my new iPad, I cannot recover all the PDF files in my previous app. Is there a way to recover them? 1. If you have a backup of your iPad, you can restore it to your new iPad. Please refer to Apple's iPad User Guide. 2. If you have a pdf-notes backup data, you can restore it to your new iPad. Please refer to the backup & restore part of the user guide of pdf-notes. I used to love this application...then the link to Dropbox stopped working! What happened? Why can't I link to Dropbox any more? Dropbox and Google changed their sign-in policy this year so that you have to update your app version to the recent one! For more information about the changes or reasons why Dropbox and Google changed their sign-in policy, please ask it to them. Again, please update your app version to the recent one. I guess that you are using an old version. Are you using the recent version? Please check your version at first. I just updated your great app ( free version) but now I can no longer find how to rename a doc ( used to be under info). Can I still rename a file? How do you rename it? No more info button and couldn't find any option under manage to rename the doc. Nothing changed - edit first. Please read the user guide again for more information. Thank you. Turns out that I was in the cache view (instead of list or book view) which doesn't have the info/rename option. When I switched to either the list or books view I got that info/rename choice back. Thanks for your help. I am musician and I use the app to read music scores. I’d like to know if you plan to make the app to support pageflip, or similar accessories for turning over the pages with pedal. pdf-notes supports page-turning by left/right arrows of external keyboard or bluetooth pedals since the version 3.6.26 uploaded in 2016. Why does PDF notes not support the normal Ipad function, where the view rotates if you rotate the IPAD. I.e. if the document is portrait (and therefore not utilising the full size of the screen), it would normally rotate 90 degrees, when you rotate the IPAD. Please read the page 16 of the user guide. It looks like the orientation was locked so that you can simply unlock it. It really doesn't change anything to use the unlock orientation button. The orientation is still fixed. For example when I read the user guide, where the document is portrait. Maybe... it looks like I don't understand your words... Please send me a screenshot of yours and let me know what the problem is. Please use an email if possible.